Voting for the 2016-2017 Board of Directors is open NOW. Ballots can be found in the December issue of the Cowboy Sports News or the files below. You may ONLY vote in the category/event in which you work. 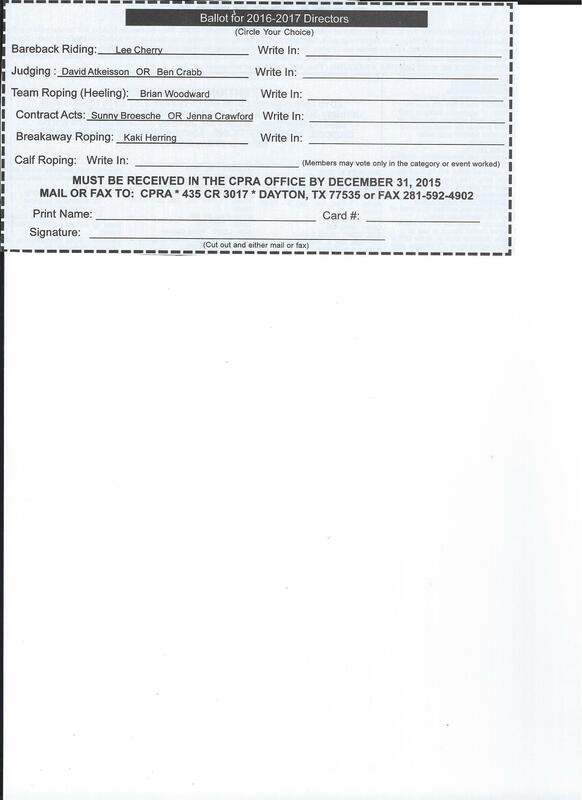 The Ballot MUST BE RECEIVED IN THE CPRA OFFICE BY DECEMBER 31, 2015.